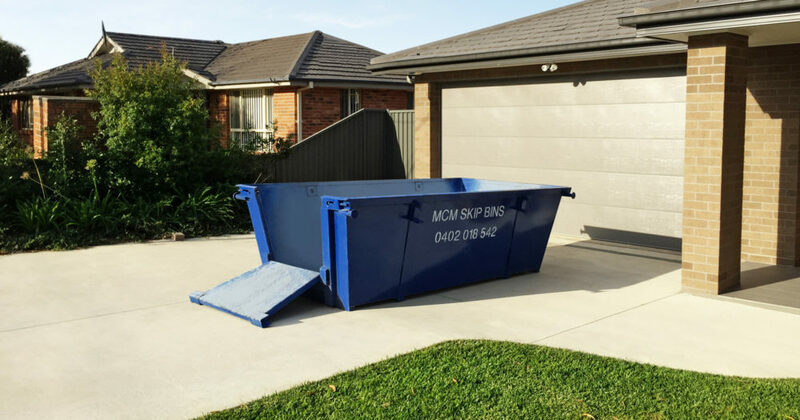 We provide Skip Bin Hire in Illawong, Sutherland Shire. Whether you are renovating, moving from one home to another, clearing out a loved one’s home or just getting rid of belongings you no longer want, you need a way to get rid of all the rubbish. Here at MCM Skip Bins, we do everything we can to make this process easy for you. We provide skip bins for hire in Illawong to help you get rid of any waste that needs to be taken away. Our aim is to provide you with unbeatable service making hiring your skip bin in Illawong a fast and easy process. Our 15 years of experience gives you the advantage of a well experienced operator who is local and reliable offering the best prices and most suitable solutions to your waste removal needs. Our busy trucks are in and out of Illawong and the surrounding suburbs everyday. Your rubbish is assessed for recycling. Understanding the stress our landfills are under we agree that all materials that can be reused from your skip bin will be sorted and recycled by the methods available to us in our industry decreasing the strain on our environment and the cost to you. Illawong is a peninsular suburb sitting high above the Georges River and Woronora River in the Sutherland Shire. Illawong is approximately 27km south west of Sydney city. Families are drawn to this quiet suburb for its natural beauty, tall gumtrees and opportunity to live with stunning views of the surrounding waterways. Illawong Primary and school and Tharawal Primary School are home to many families learning needs. Illawong Marlins Baseball Club, Illawong Little Athletics and Illawong Menai Cricket Club are proud clubs in the area. It was around the 1970’s and 1980’s that Illawong began to boom with development of townhouse and villa complexes alongside three story waterfront mansions. Many of the homes in Illawong are undertaking refurbishment. Replacement of bathrooms, kitchens, flooring and landscaping keep the homes modern and bright. Our skip bin drivers navigate the area well driving along Fowler Rd, Illawong and into the many off shoots determining where best to place your skip bin for easiest loading. We have the lesson common hook lift bins and truck which is used to access right of ways, steep drives and tight spaces. Find out more about our 3, 4, 6 and 8 metre skip bins.